Kerry Ann Rockquemore, who received her doctorate in sociology from the University of Notre Dame in 1999, will deliver the address at the University’s Graduate School Commencement Ceremony at 10 a.m. May 17 (Saturday) in the Compton Family Ice Arena. While a graduate student, Rockquemore won both the John J. Kane Memorial Award for the most outstanding graduate student in sociology and the Eli J. and Helen Shaheen Award for the most outstanding student in the social sciences. She entered academia and went on to earn tenure at the University of Illinois-Chicago, where she held appointments in sociology and African American Studies. 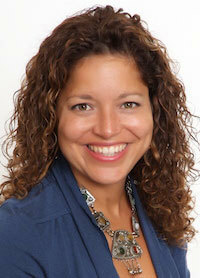 Her research interests are in multiracial children and the politics of racial categorization. Rockquemore is the author of “Beyond Black: Biracial Identity in America” with David Brunsma and “Raising Biracial Children” with Tracey Laszloffy, 15 refereed journal articles, 11 book chapters and numerous columns for Inside Higher Education. In 2005, she received the Exemplary Mentoring Award from the Institute for Research on Race and Public Policy at the University of Illinois at Chicago, and in 2009, the A. Wade Smith Award for Teaching, Mentorship and Service from the Association of Black Sociologists. Rockquemore will receive the Distinguished Alumna Award at the Graduate School Awards Dinner on May 16. Her address will be the centerpiece of the Graduate School Commencement ceremony the next day, when the University will honor its master’s and doctoral degree recipients. Originally published by William G. Gilroy at news.nd.edu on May 02, 2014.